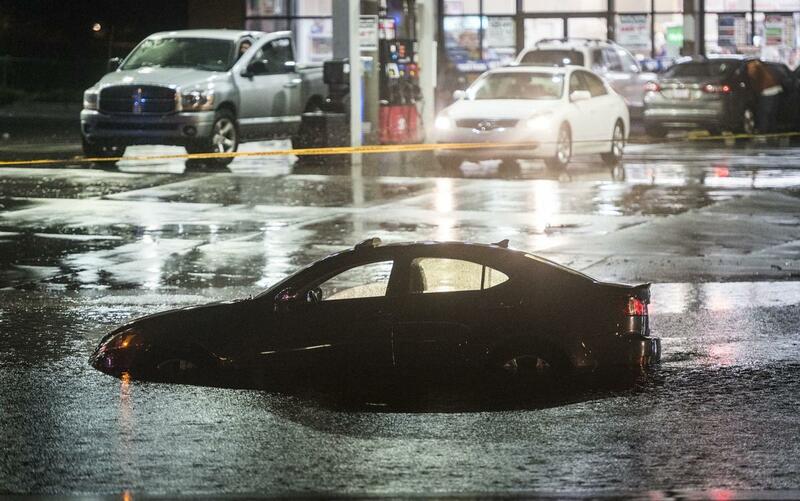 Florence bombarded the Carolinas this past weekend in a deadly storm that killed 36 people. In preparation for the storm, Wake Forest canceled classes last Friday, Sept. 14, and many area schools cancelled Thursday as well. First announced on Wednesday, Sept. 5 by the National Weather Service as a “major hurricane,” it quickly became clear that this storm should be taken seriously, especially on the coast. Over the course of a week, Florence grew from a tropical storm to a Category 4 hurricane. By the time it made landfall on Friday, Sept. 14, Florence had been downgraded back to a Category 1 hurricane. Florence moved slowly from the coast to inland North Carolina, proving to be especially destructive on the coast. 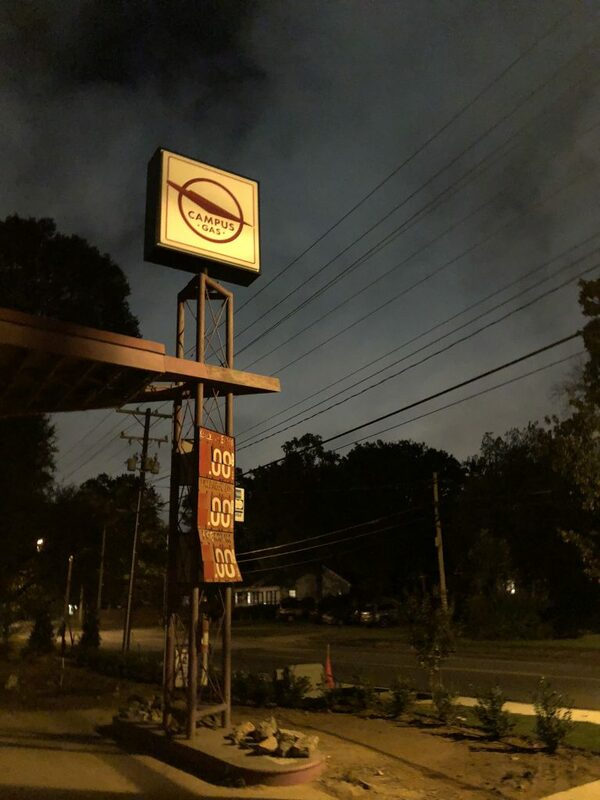 On Saturday night, before the storm had reached the Triad area, Florence had been further downgraded to a tropical depression. Nonetheless, the Winston-Salem area still braced for strong winds, rain, potential flooding and power outages. To prepare for the worst in Winston-Salem, sophomore Reilly Grace Marshall, like many other students, stocked up on snacks at Target, noticing that water and flashlights were all sold out. On Tuesday, Sept. 11, the Office of Communications and External Relations sent the first broadcast email to campus, providing answers to common questions and alerting the community that decisions about possible class cancellations were forthcoming. By this point, many other colleges in North Carolina, including all public schools, had already canceled classes for Thursday and Friday. While students on campus avoided the worst, many people who live along the coast had their lives dramatically altered by this devastating storm, including friends and family of Wake Forest. However, Marshall was not afraid of Florence despite its predicted route to hit her hometown of Charleston, SC. According to Marshall, Charleston has a yearly struggle with hurricanes, so Florence was nothing new for her. “My parents are staying at home and they’re on the water,” Marshall said. She explained that her family in Charleston “was not concerned in the slightest,” as she felt that similar storms happen so frequently and usually die down by the time they reach the coast. She spent her hurricane weekend catching up on homework and said that her family weathered the storm just fine. ain, power loss and minor flooding were the extent of Hurricane Florence’s effects in Winston-Salem, but other areas were not as fortunate. While junior Nikko Martins from Boston, MA had never experienced a hurricane, he felt fairly prepared due to experience with nor’easters and snow storms, and did not consider leaving campus. “We definitely have our fair share of tough weather when it comes to nor’easters, so I think I am used to staying calm during bad weather,” Martins said. Like Marshall, Martins also had a productive long weekend. “Friday was awesome because it let me get ahead on work to go into the weekend to enjoy myself,” Martins said. Once he finished his work for the weekend, Martins was happy to report that he spent quality time with friends and watched The Office. Paige Michels, a freshman from Long Island, NY, unfortunately knows what it’s like to be devastated by a hurricane. In 2012, Michels lost power and had to evacuate due to a tree falling on her garage during Hurricane Sandy. Despite her hurricane experiences, Michels was not worried about Florence. “I wasn’t nervous because the people who live in North Carolina said it wasn’t a big deal,” she said. In addition to doing homework, Michels attended her extra Dance Team practices over the weekend. While most Wake Forest students had relaxing and productive weekends, many people from eastern North Carolina came to Winston-Salem to seek refuge from the storm. The LJVM Coliseum worked with the American Red Cross and served as a refuge center for those who needed to evacuate their coastal homes. The women’s soccer team originally had a game scheduled against Boston College, but it was canceled due to the storm. Instead of playing, the team volunteered at LJVM Coliseum, with half the team serving food and half the team hanging out and playing with the children. Senior Bri Carney was able to play with the children during her time volunteering. “[The kids] were so excited to have people to play with and give them attention and the parents were relieved to get some time to figure out the logistical aspects of getting back home,” Carney said. While Florence was not as devastating to the Winston-Salem area as anticipated, Wake Forest students were able to enjoy a rare day off. Many who were affected by the storm were right in Wake Forest’s backyard, so the women’s soccer team exemplified the meaning of “Pro Humanitate” by helping those seeking refuge from the storm.